SEO and social media are pretty tightly connected. Both are inbound strategies with goals of attracting visitors who can be converted into customers. Social media can have a major impact on your search engine rankings, and here are 5 tips that you may not be thinking about and which you can put into place quickly. 1. Build Higher-Quality Links Through Your Social Platforms. For many years, the algorithm for Google’s search rankings prioritized sites with the highest number of back links, without much concern of where the link was coming from or the quality of that site. When people realized this, they scrambled together as many low-quality or even fake links to their sites for those higher rankings. When Google realized this, their algorithms changed and they focused on high-quality links. The advantage of social media links is that they are considered higher quality, because social platforms have a “high web authority” already in place. Even when a Facebook account is new, it begins to be indexed simply because it is on a high-authority platform. The actionable takeaway is pretty obvious: You need a link to your website in every piece of content you publish on every social media platform where you have a presence. You also need one in your profiles. Of course, this will increase traffic to your website, but it will have the added benefit of link building. You can post content, such as blog posts, to your social platforms with a link in that content, so that sharing spreads that link. Provide a reason for anyone who reads your post to click that link to get something more, like a YouTube video sitting on your site. 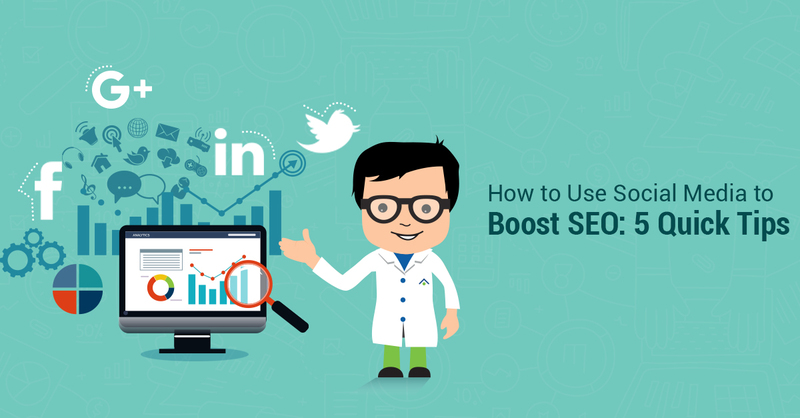 Linking to your site from a high authority social platform improves your rankings. The more high-quality followers you have, the better you will rank in searches. High-quality followers are those who truly engage with your posts by commenting, sparking conversations with other followers, and generally interacting with your account. They may re-tweet, share, or re-pin. They may send you a tweet or engage in some way with you on your Facebook posts. These “social signals” are reviewed by search engines to determine how often you are posting, how many others are interacting with you when you do post, and if you have social sharing capability for your visitors. A word of caution: Don’t try to “game the system” with a lot of fake “likes.” These are considered low-quality followers and won’t be of any benefit anyway. And if Google discovers them, you will be penalized with lower rankings. What you must do is gradually over time increase your base of followers and provide ways for them to both share and to interact with you. Pinterest does this quite well, and it really encourages sharing. Users who post a photo and include a link to the rest of the content, and both the photo and link then get shared with other users. Also Pinterest profiles show up in Google searches, making their reach that much more significant. Lots of social platforms will give you options for keeping content public, private, or something in between. For example, on YouTube, a video creator can adjust the settings so the video is only accessible to users who have the direct URL. Twitter allows account holders to have a private profile; and Pinterest even allows secret boards. But for those who are trying to use social media for brand development, it’s best to remove all privacy settings and make profiles and accounts completely public. Your content will then be both searchable and shareable. You want all lead generating content to be completely available, and those interactions and shares indexed. On Facebook, in your profile, you have the option to make your content and posts searchable in search engines. Choose that option. Just go to your privacy settings and enable the option that says, “Do you want other search engines to link to your timeline?” The more views your content has, the greater opportunities it has for shares. Putting keywords in your social posts is no different than putting them in your website text, your blog posts, and your ad campaigns. Use keywords in your Pinterest boards and pins. Include relevant keywords in your YouTube profile and in posts on Facebook and Twitter. There are free tools available to help you find the best keywords for your niche. You should also seek out good long-tail keyword phrases. Be sure you have a local listing on Google+ and it must include address and any other important information. A big plus is that this allows customers to give you reviews right on Google, and Google always ranks businesses with the highest reviews first. You should do the same on your Facebook page, and include a map. This will allow customers to not only find you but also to “check in” on their own Facebook page. This will also improve your rankings on local SEO. No one doubts the importance of social media for marketing – it’s absolutely vital. But it will be even more valuable to you if you use it as an SEO tool as well. Keeping up with changing algorithms may be a bit of a challenge, but it is worth it. 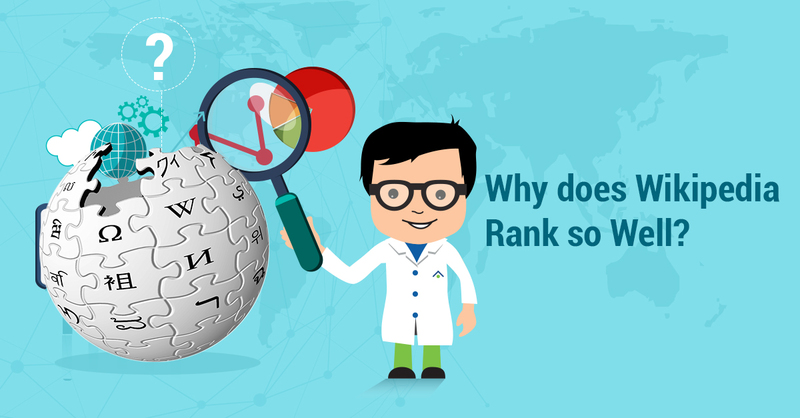 Internet Marketing	Why Does Wikipedia Rank So Well?